A FEW YEARS AGO, Reba Weymouth was at a crossroads. Although she loved being a nurse practitioner, she wanted more for her patients than to treat their symptoms. And while she loved spending time with her husband, her family and her friends, she often felt lethargic and unmotivated. Reba knew there was more to life, and she seized the opportunity to get it. 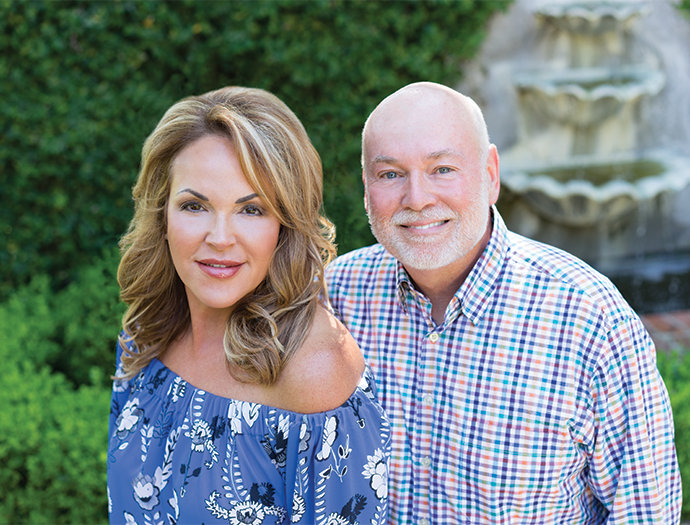 Now, as the owner of Timeless Rx, Reba is giving men and women throughout the Northshore the opportunity to get more out of their lives as well. direction of Dr. John Simon in order to provide an integrated approach to wellness and beauty. Andropause, the period when testosterone declines in men, is much more gradual than female peri-menopause and menopause, yet many of the overall symptoms are the same. Timeless Rx offers hormonal therapies for andropause that help achieve long-lasting hormonal balance including testosterone injections and bioidentical hormone pellets. HCG injections are also available as a non-steriod alternative to increase natural production of testosterone. estrogen, testosterone and progesterone specifically for a patient’s needs and administer the hormones via monthly injections or subdermal pellets. Offering services in a spa-like setting, Timeless Rx helps rejuvenate the mind, body and spirit. Reba performs a variety of treatments to restore that youthful glow including dermal fillers, Radiesse®, Botox®, Dysport™ and skin rejuvenation procedures. therapist Lisa-Maree Berube, LMT, to the team, incorporating various modalities and therapeutic techniques to promote healing and wellbeing. Reba recognizes how blessed she is in her family life as well. Describing Stephen, her husband of 30 years, as her rock, Reba said he is the yin to her yang. The couple enjoys spending time with their blended family of five children and a growing number of grandchildren. They have also traveled extensively—from the glaciers of Alaska to the beaches of Hawaii and from the jungle of Costa Rica to the serenity of the Mediterranean Sea. together for decades to come. Timeless Rx is located at 1970 N. Hwy. 190 in Covington. For more information, call 985-893-6073 or visit thetimelessclinic.com and facebook.com/timelessrx. I’m a testimony to effective treatment with bio identical hormones & services of Sam B Cochran LC. Reba & all of her staff make you feel & look better safely. As a cancer survivor with many other chronic illnesses this was a last resort for managing my health & well being. I began treatment in Jan 2016 & regret not going much sooner. Take it from me you will love life again! Don’t be hesitant TimelessRx can change your outlook totally it’s totally affordable & we are all worth it. It’s been a blessing to have this care.? Ms. Reba is an amazing person. She deserves to be Person of the Year. I have been going to Timeless RX for several years for my Bio identical hormone treatment at first then received other treatments. I am extremely satisfied with the whole experience. Such a brilliant beautiful lady inside and out!!! The best of the best, Reba and her staff are amazing. 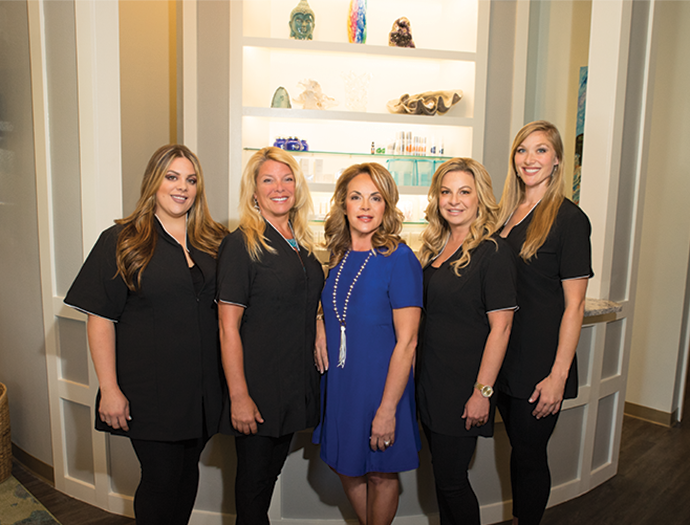 Reba and her team consistently provide effective results restoring youthful looks and energy that is nothing short of amazing!! I only wish I had sought her professional expertise years before. What a friendly knowledgeable team she has with an emphasis understanding her patients desired goals and making them a reality!! I am forever greatful to have made the decision seek her professional care. Reba has given me good service for months now. I really have enjoyed being a patient. I am beginning to get my life back to normal. Thanks fo Reba and all her staff. I love all of y’all! Thanks!